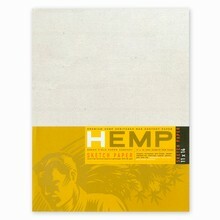 Classic style...Exclusive Hemp Heritage® fine paper has a naturally elegant appearance. 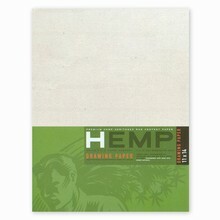 Truly distinctive with an organic look and rich texture, there is an elegant laid finish on one side of the sheet. Versatility... This professional grade paper was created for all skill levels and provides a classic domain for every artist's inspiration. Available in either 8.5" x 11" or 11" x 14" sheets and in 3 weights 24 lb, 70 lb or 110 lb. Attributes... 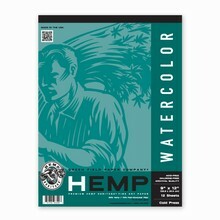 Acid Free, Chlorine Free, Archival Quality. 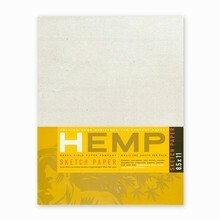 Environmentally conscious... 25% Hemp, 75% Post Consumer, 100% Sustainable. 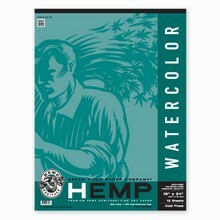 Performance... Excels for use with water colors as well as pastels and all drawing mediums including fountain pens. 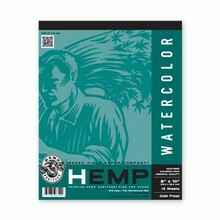 Displaying 1 through 9 of 9 products. Hemp Heritage® Sketch Paper Art Pack, Large 11" x 14"
Hemp Heritage® Drawing Paper Art Pack, Large 11" x 14"
Hemp Heritage® Watercolor Paper Art Pack, Large 11" x 14"
Hemp Heritage® Sketch Paper Art Pack, Medium 8.5" x 11"
Hemp Heritage® Drawing Paper Art Pack, Medium 8.5" x 11"
Hemp Heritage® Watercolor Paper Art Pack, Medium 8.5" x 11"
Hemp Heritage® Watercolor Art Pad, 18" x 24"
Hemp Heritage® Watercolor Art Pad, 8" x 10"
Hemp Heritage® Watercolor Art Pad, 9" x 12"